This review contains some spoilers. Keep an eye out of our spoiler warning to keep your experience in tact! The climate crisis has hit critical mass and the world falls to ruin. Amidst this natural disaster is a global threat of nuclear war that sets to eliminate all life as we know it. As part of the efforts to rebuild humanity after the fallout of these disasters settles, the Ark Program has been initiated. Bunkers built underground now house the 4,000 inhabitants of Earth who will be tasked with rebuilding our future. The Descendant is a narrative-driven game following the stories of two protagonists. 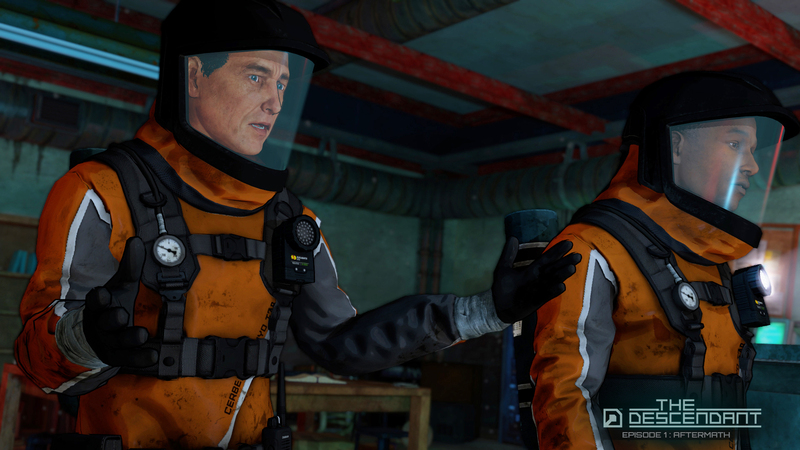 The first, Mia Howard, has been assigned to Ark-01 as one a Janitor to oversee and safeguard those chosen to survive. 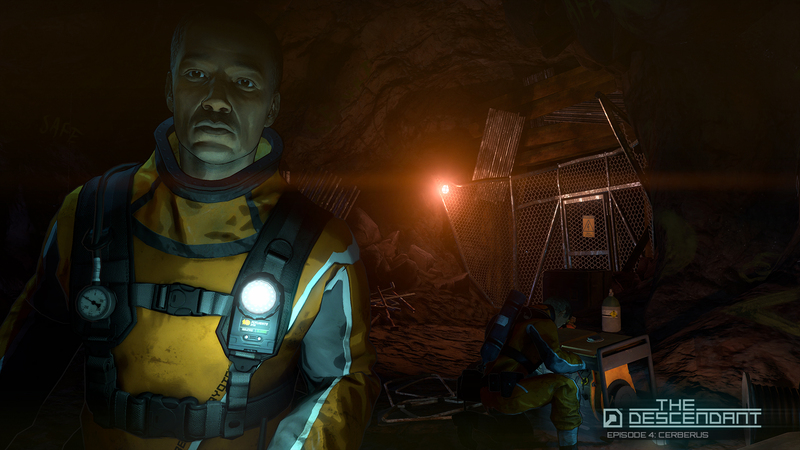 The second is Donald Freeman, a Janitor from a different Ark who is investigating why Ark-01, centuries after the initial collapse of civilised life, has not awoken from their cryogenic sleep. Ark-01 is hidden in Alaska, away from all the others. In the present day, when we’re joining Donald, Alaska is a desert-like wasteland unlike the frozen state that we know today. With climate change and nuclear war having struck, it’s not surprising that the landscape of the entire world has changed entirely. Our adventure starts with a break into the tightly sealed can of worms that is Ark-01. 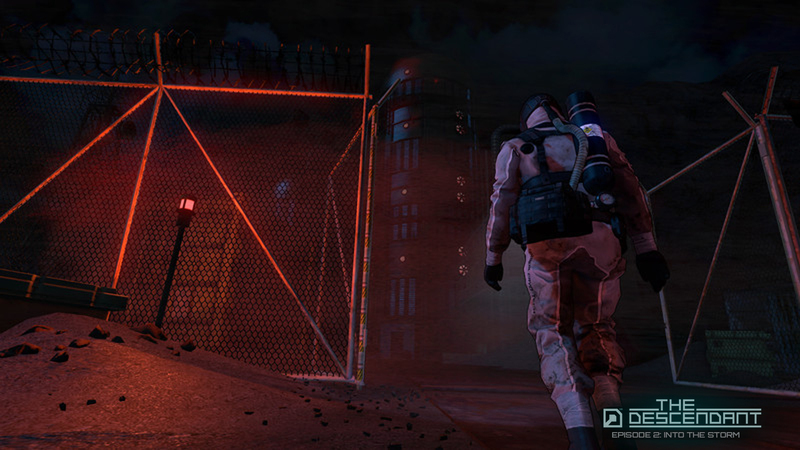 Donald is accompanying Randolph Jefferson who was, as explained in the prologue cinematic, a U.S. senator before the collapse. Randolph is set up as the self-serving type who thinks about himself and might seem a bit callous, depending on your stance of character archetypes. The Descendant is an adventure game so it’s not unexpected for there to be conversations where you have input. In fact, it’s a very similar structure to those of The Walking Dead or Life Is Strange in that it has conversation elements that tell you a character “will remember this.” I have to be honest, this is a little bit of a pet peeve of mine but it’s a forgivable one. Being a conversational butterfly, I remain diplomatic as much as I can in most situations. I took an instant dislike to Randolph because he was this archetypical “out for himself” kind of guy, but I kept him on my good side. This fellow used to be a U.S. senator, so perhaps he still holds some power and I didn’t want to dig myself into any holes before the game really gets going. Not knowing what would unfold throughout the next five chapters meant that it was better to be cautious, at least for the time being. Each episode is well-paced with both the protagonists getting to be in the same areas as each other. The time difference is a great mechanic to interweave the stories together and does a lot to accentuate just how much of a disparity there is between the past and present. The past, in Mia’s timeline, everything is intact if a little cluttered in places. When we join Donald in the present we see signs of dilapidation and get an instant sense that not all is quite what it seems; that there’s more to this story than simply an Ark not receiving the wake-up signal transmitted globally from the ominously named HQ. While I know that collecting items and couriering them to the objective is part and parcel of an adventure game, I don’t really consider these puzzles. Unlike other adventure games, though, The Descendant does offer us actual logic puzzles to solve before we can progress further. None of these are especially difficult or mind-bending, nor are they accurate to the real-world– for example, we don’t rotate and rearrange grids of circuit boards to fix a computer terminal. 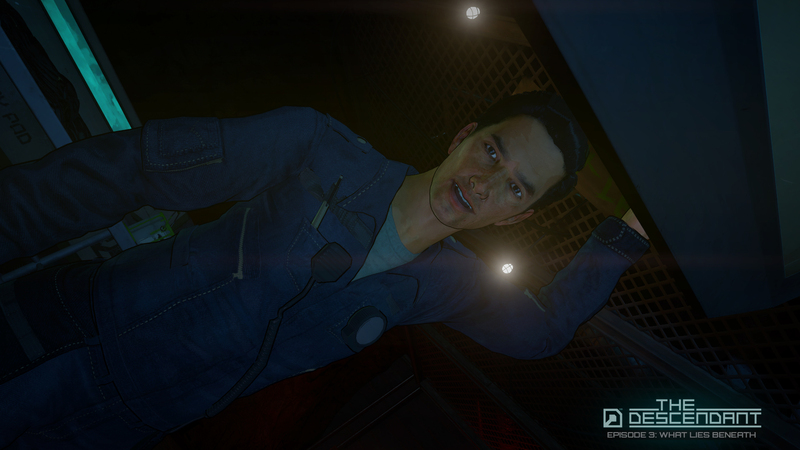 However, they do offer an extra layer of agency that isn’t exactly common to the adventure game genre of late. Episode 2, for example, had a good puzzle where Donald is communicating over the radio with Randolph and you must direct him through the procedures of getting a power generator back online. You were just looking at an instruction manual while he fed you information and you responded in kind. The thought of directing someone to complete a task instead of doing it yourself offered an interesting new way of playing that was by no means conventional. Again, The Descendant offers us something new that we’ve not really experienced before. The story is the biggest selling point for me, though–it was utterly gripping. We start with what seems like a straightforward narrative that gets us to speculate and form opinions based on expected tropes, but it’s all turned on its head as the story progresses. In Episode 3 onwards, when we’re introduced to the beginning of Silas’ mental illness and the inexorable decay of his sanity, this gave the narrative a whole new angle from how it had began. The natural progression of thought in this scenario would be that he was the orchestrator of everything that was going wrong–indeed there are hints to this when we first discover the mental illnesses he suffers from. When it’s revealed that his hand is not that of the puppet master, however, it threw a new spanner in the works that kept my mind abuzz with ideas and thoughts of “So, what’s going on here?” and that were continuous throughout the first four episodes. The way that the narrative kept me questioning what was really taking place until the very final episode was a welcome and refreshing experience in an otherwise predictable genre of tropes and clichés. That’s not to say there wasn’t any clichés, because there were plenty, but these were largely overshadowed by the interesting story behind each character and their motives. My only criticism is that there were certain parts that felt unnecessary and incredibly arbitrary. For example, when looking for a way to open the fuse box in the first episode, you have to find a drill. However, when you discover this drill, low and behold it needs a battery. It felt cumbersome to go back and forth when I could have picked up the drill and carried it with me. These were minor grievances, though, and did not take away from the experience in the slightest. In total, I have played just over four hours and have completed all five episodes, so it’s not a massive game that will take you a full day or week to complete, but will offer you a great story and interesting puzzles in a genre that could use more of them. 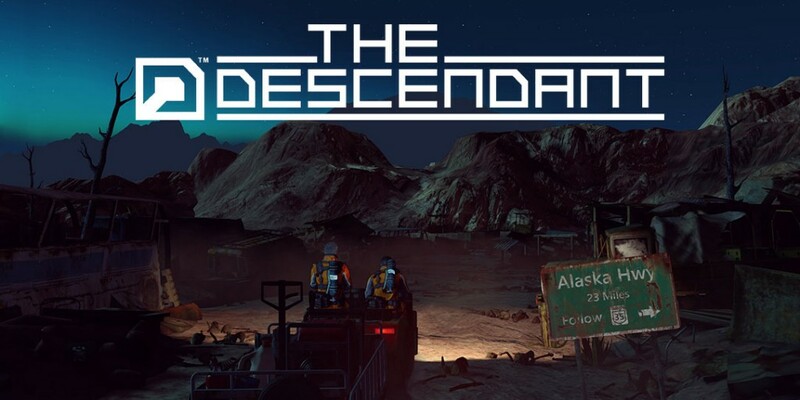 The Descendant offers a fascinating sci-fi tale intertwined with interesting puzzles, breathing fresh air into a genre that can feel stagnant at times.